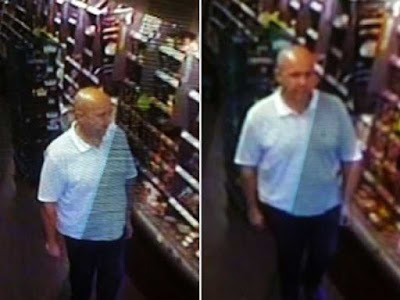 Police have released CCTV images taken of a man they would like to speak to following the theft of sausages from a Marks and Spencers store. Detectives have issued two pictures captured on the CCTV system at the store in the centre of Ormskirk, Lancashire. The theft of the food goods was committed at the store some time on Tuesday afternoon. Police say they would now like to speak to the man in the pictures.